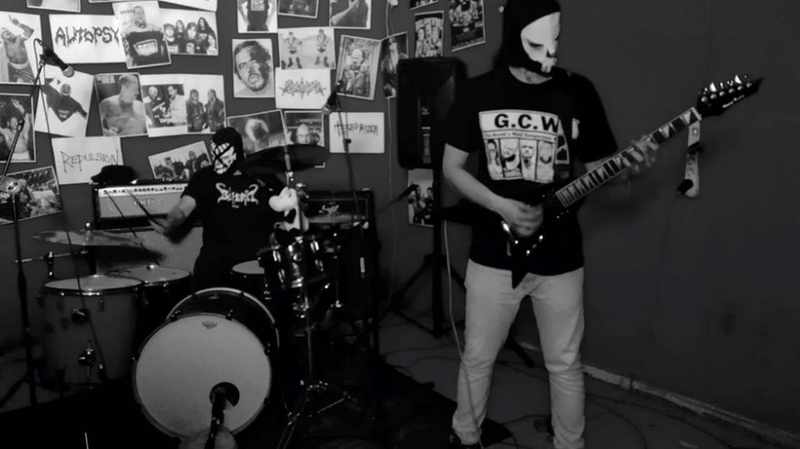 Crisis Benoit is a masked duo from Bologna, Italy. They play fast and raw grind core with old school brazilian thrash metal, some death metal pattern and a gloomy early raw black metal style, with a punk attitude. They released a cd demo "...just a RAW demo" and two full (c7) "Violence Era", "Icon of Violence".